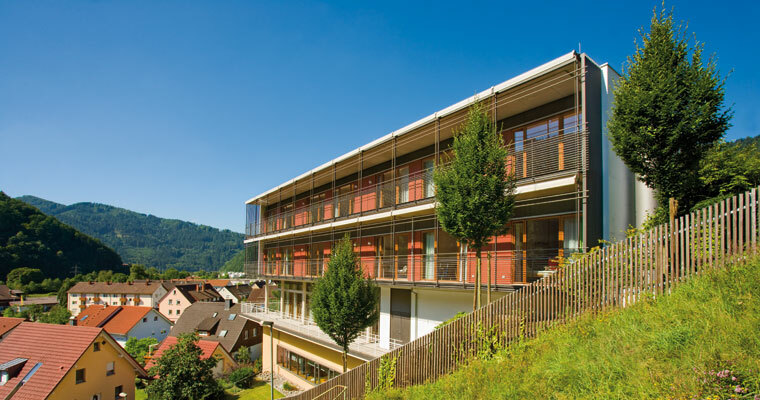 Is the Parkinson’s Disease Clinic Ortenau also a convalescence or rehabilitation clinic? No. 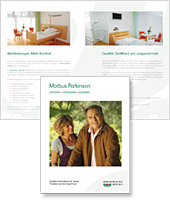 The Parkinson’s Disease Clinic Ortenau is a neurological hospital for inpatient acute care. Convalescence treatments or rehabilitation measures status are not offered due to the clinic’s statutory status. 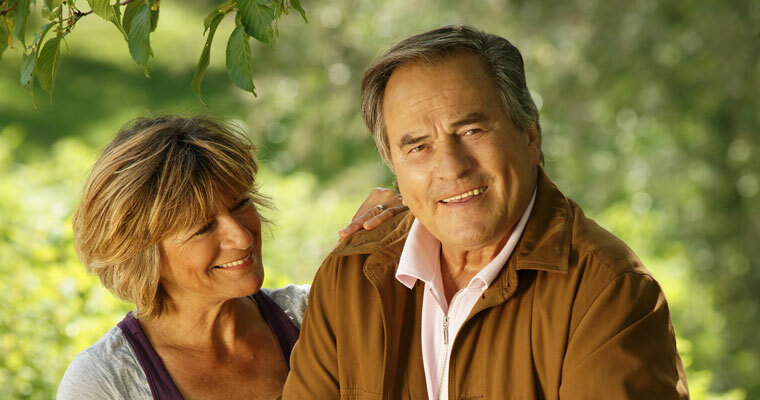 Which type of patients does the Parkinson’s Disease Clinic admit? We admit members of all health insurance funds and self-paying patients. Which documents are required for the admission as a patient? For inpatient admission the clinic first requires an instruction of hospitalisation issued by the treating general physician or neurologist as well as a doctor’s report. After review of the documents by our doctors, the patient will be sent a treatment contract. As soon as the documents have are completed and a bed becomes available, the patient will be notified, either in writing or telephonically, about his date of admission. For outpatient treatment, a doctor’s letters, list of medications and imaging is desirable (e.g. cCT, cMRT, DaTSCAN, PET, SPECT). 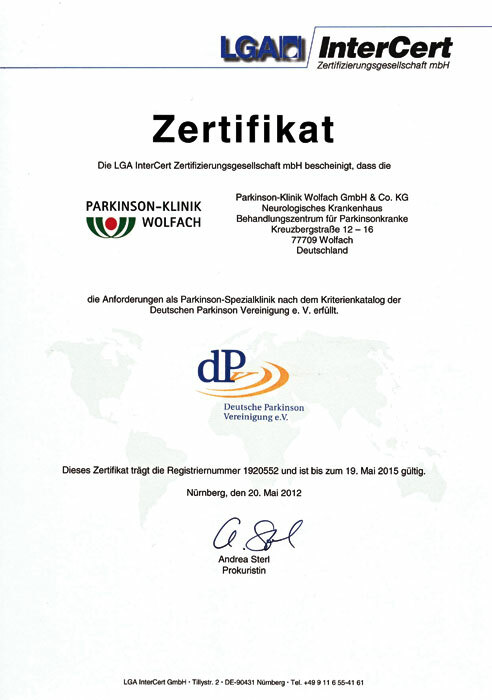 Is authorisation by the health insurance fund required for admission to the Parkinson’s Disease Clinic Ortenau? No. For admission, an instruction for hospitalisation from the treating general physician or specialist doctor is all that is required. Approval by the health insurance fund is not necessary. Do the health insurance funds also bear the costs of the outpatient treatment? Only partially; Chief Physician Prof Dr med. 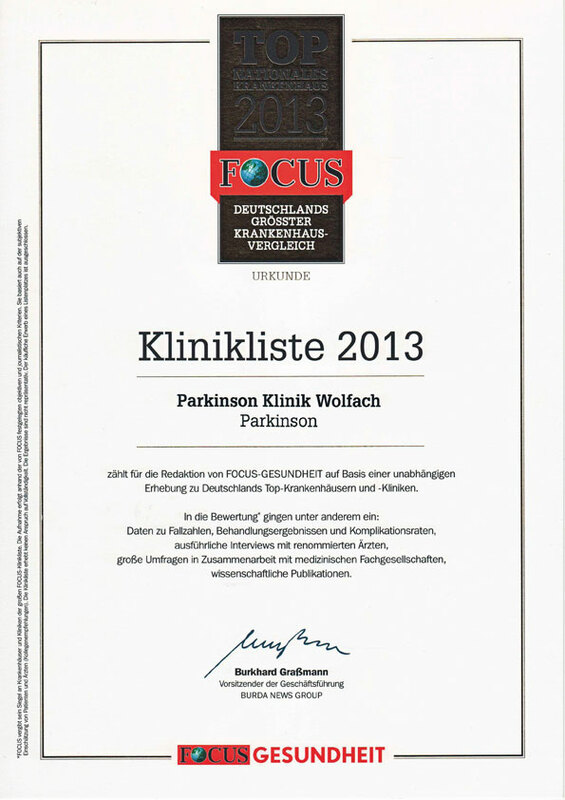 Wolfgang Jost is in possession of an authorisation which includes the treatment with botulinum toxin which is paid by the statutory health insurance funds.This authorisation does not include outpatient treatment for Parkinson’s syndrome, which means that the services are covered in the context of a private medical outpatient treatment and the patient is billed for the costs. What are the costs for the outpatient treatment? 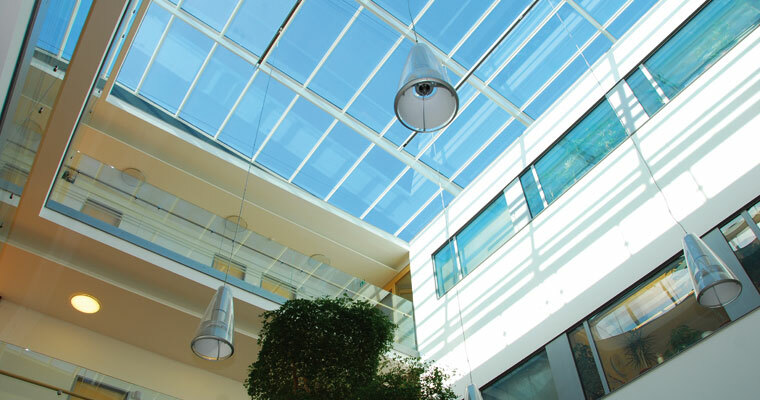 The costs for outpatient treatment are usually between EUR 100 and 300. When is the chief physician of the clinic, Prof Dr med. Jost , available for a telephonic consultation? By appointment, please contact Ms Jakob or Ms Fiesel. Consultation hours: Monday to Friday, 8 am - 12 am and 1 pm to 4 pm under the phone number: +49 (0) 7834-112 or 212. How long do patients have to wait for an outpatient/inpatient admission? The waiting times vary, however, usually between two and four weeks. It also depends on what type of accommodation is required (one-bed, two-bedded or three-bedded rooms). Often short-term admissions are possible in January and February. 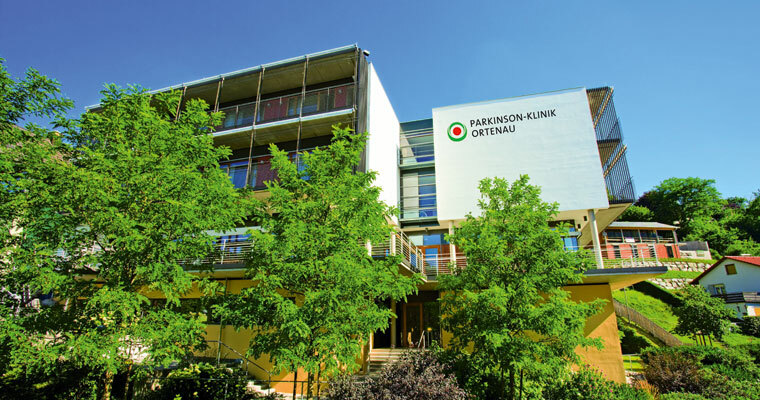 How long is an inpatient stay at the Parkinson’s Disease Clinic Ortenau? On average, the duration of an inpatient stay is 16 days. Usually patients stay for two to two and a half weeks, depending on the recommendation of the treating doctor. What does the inpatient treatment entail? The main focus of the inpatient treatment is a detailed diagnosis and individual medicinal treatment of the patient. When and in what form a specific medicinal treatment is initiated can only be decided in the individual case. Usually, depending on the pathological condition and patient’s tolerance, various drugs are combined with complementary effective mechanisms. Great importance is also attached to physiotherapeutic measures as these greatly influence the agility and mobility of a patient. This includes individual training for the prevention of falls. Another pillar of the treatment is the psychotherapeutic guidance of patients and their families (dealing with the disease, cognitive, linguistic and fine motor support of the patient). Patients can also participate in a “Creative Group”, in which patients do crafts and sing together. Is it possible for accompanying persons to stay overnight at the clinic? 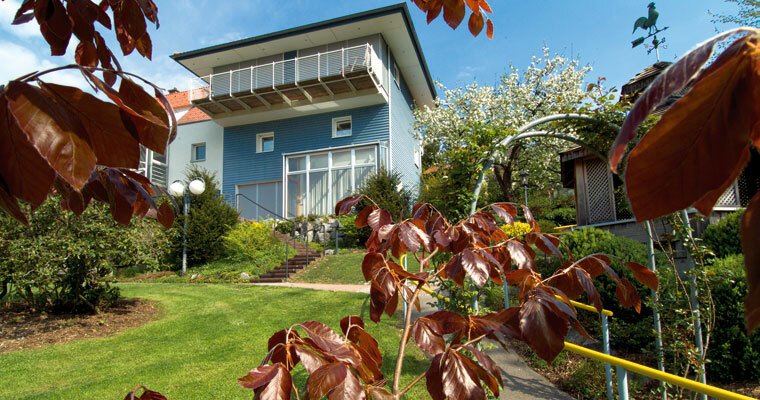 The “Gästehaus am Park” (Guest House at the Park), owned by the clinic, offers people accompanying patients comfortable accommodation. The clinic has a “Relatives and Family” room, however, as it is located on the top floor it is not suited for people with impaired mobility. What type of clothing do patients need for their treatments? Sneakers, a track suit or sports clothing and swim wear. What type of accommodation do the statutory health insurance funds pay for? For patients without additional insurance, the statutory insurance funds only pay for the costs of accommodation in a three-bedded room. In addition, by law, statutory health insurance patients are required to pay a self-contribution. Currently this amount is EUR 10.00 per calendar day for a maximum of 28 days in a calendar year. This fee must be paid to the clinic which will pass it on to the health insurance fund. Accommodation in a one-bed or two-bedded room is only possible for statutory health insurance patients without additional insurance, at an additional fee subject to the contractually agreed upon optional service “Accommodation”.